Google Latest Technical and HR Interview Questions. Google Latest Technical and HR Interview Questions. 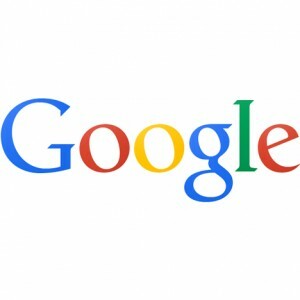 Most Frequently Asked Google Interview Questions For Freshers. HR Interview Questions Of Google. Most Difficult Google Interview Questions. Technical questions regarding various projects undertaken during the course of engineering. Write a code to generate divisors of an integer. What do you understand by inheritance and explain its various types? List different attributes in ER model of DBMS. What is jump statement in C++? What do you know about latest developments in IT industry? Give any two points of difference between C++ and Java. How do you use a “Local Block”? Compare "Switch" statement and Multiple-If" statements. What are the characteristics of modern DBMS? Describe your Final Year project. What was novelty in it? Explain RDBMS and how is it different from DBMS. What is nested loop? What is dangling else condition in it? Write a program to compare lengths of two strings. What keyword would you use for Development of a Software Life Cycle? Define this keyword. How would you describe your ideal job? When did you decide on this career? What goals do you have in your career? What do you think it takes to be successful in this career? What accomplishments have given you the most satisfaction in your life? If you had to live your life over again, what would you change? Tell me about some of your recent goals and what you did to achieve them. What is your long-range objective? Where do you want to be ten years from now? Do you have any plans for further education? How much training do you think you'll need to become a productive employee? 0 on: "Google Latest Technical and HR Interview Questions."